I made my own little pilgrimage. My savant cave a small laboratory on the outskirts of Rata Sum. There, I met Zojja. We sparred intellects in the golem arena and tried to connect to one another. Although she knew I hadn’t come in search of any advice, she still spiralled in panic at the thought of Inquest being involved in any part of our progression through this province. Intelligence had made her amoral; like us, she had already passed beyond any conceivable boundary of feeling. I quote directly: “A motley lot with little to recommend them. 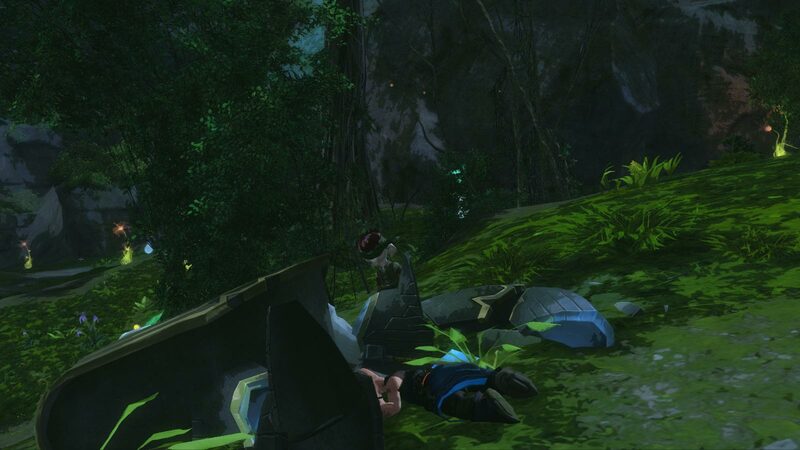 I have now spent three days in their company that is, I fear, enough for any asura that walks Tyria. Despite their tedious inclination to quote scripture, they seem to me the most mindless of all the inhabitants on the surface of this world. Indeed, in this case, the very gravity of that term – without mind – seems to find its very apex.” It appears to me that Drojjenny too found those who wandered the jungle to be adrift in a prison of the mind, or lack thereof. Did he include himself in that, I wonder?